Together, the mills took home a prestigious safety award from The Engineered Wood Association, and their excellent safety records have been recognized across North America! Winning this award means the mills are serious about maintaining an injury-free workplace and respecting world-class safety standards. 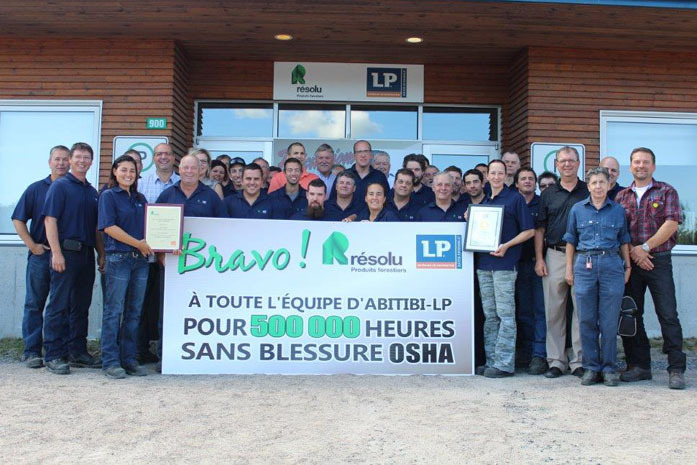 In addition to the award from the APA, Larouche employees were recently recognized by Resolute management for having achieved 500,000 working hours without a recordable incident. As part of Resolute’s health and safety program, the mill received a cash prize of $10,000, which they chose to donate to two local organizations: the Saguenay – Lac Saint-Jean Suicide Prevention Centre and the Canadian Multiple Sclerosis Foundation. 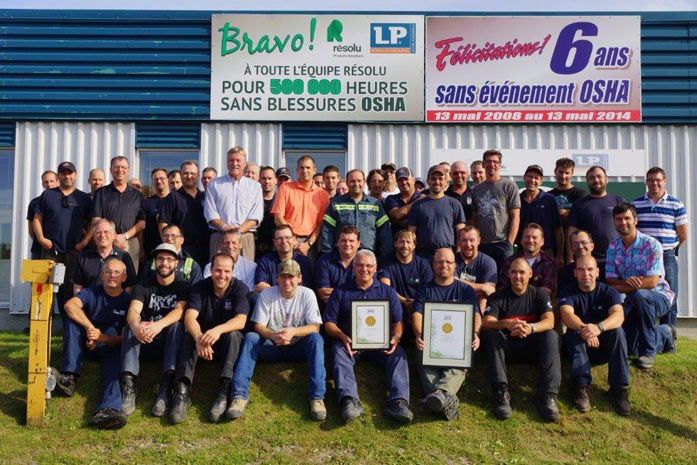 We’re very proud of each and every employee who helped create the culture of safety that prevails at Larouche and Saint-Prime. Keep up the good work!